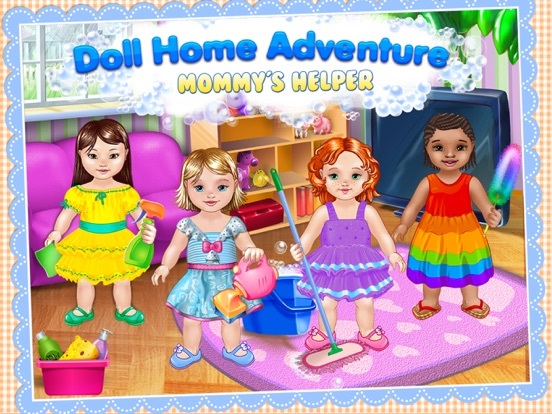 ~~> The babies you love are back and they are up for some home adventures! 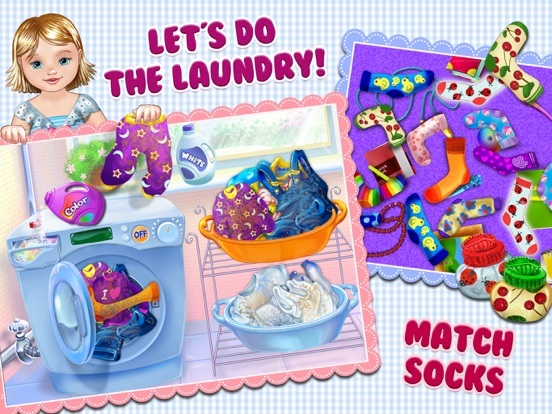 ~~> Matching socks, washing clothes, growing plants, tidy up their room and more! After 6 million of you joined in on their previous adventures, it’s time to head home... but the fun’s never over! 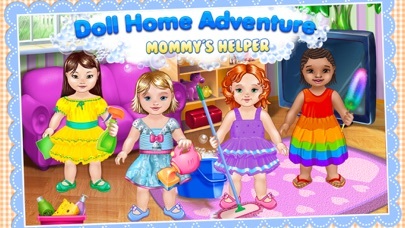 In Emma, Sophia, Olivia, and Kim’s 5th adventure it’s time to help around the house! 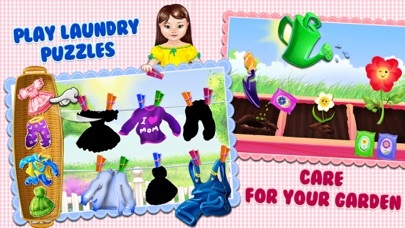 You can help with doing the laundry, matching the socks, hanging the clothes to dry on a windy day, cleaning the TV room and the kid’s room, and even plant flowers that giggle when they’re all grown up! 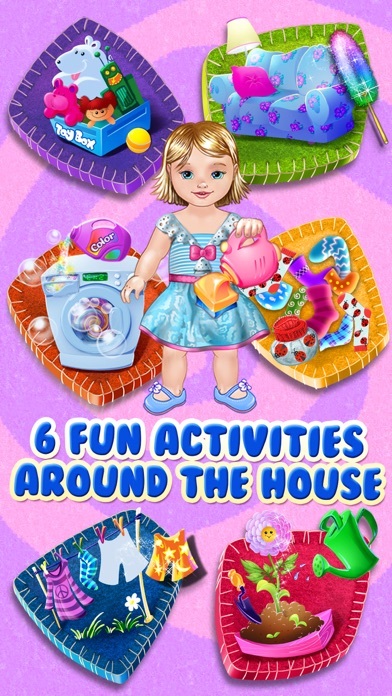 Helping around the house has become so much more fun with these awesome educational games! 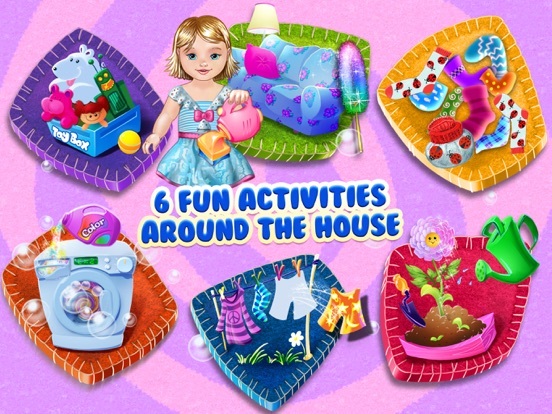 6 Fun & Educational Home Activities! > My Room! 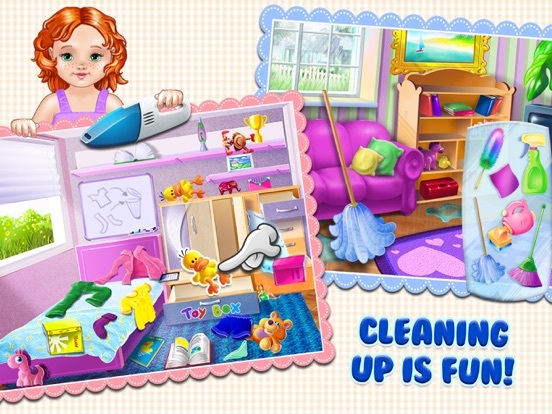 Drag the toys in their box and make sure everything is in the right place! Get crafty! You also can find an awesome painting game. 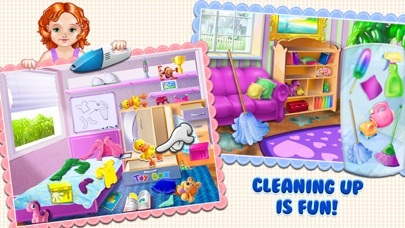 > Clean Up the Living Room! You have all the tools you need to help out like the vacuum and the mop! > Do the Laundry! First you need to separate the clothes - whites & colors, and then pick the right detergent for the right pile! > Hang The Laundry! 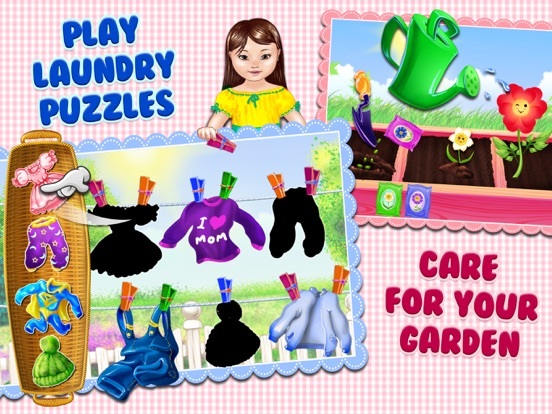 Fire up your child’s memory skills with these smart laundry hanging activities: puzzles, memory games, and more! 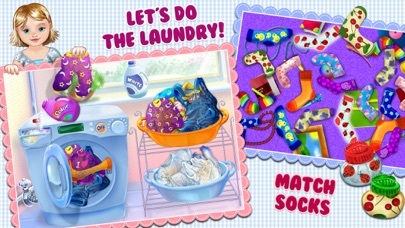 > Match the socks! Be sure to match the socks together, spot the right one! > Grow the cutest flowers! Dig small holes, put the seeds in the soil and cover the holes. Water them, care for them, and voila! Your tiny garden is ready and the flowers giggle when you tickle them!